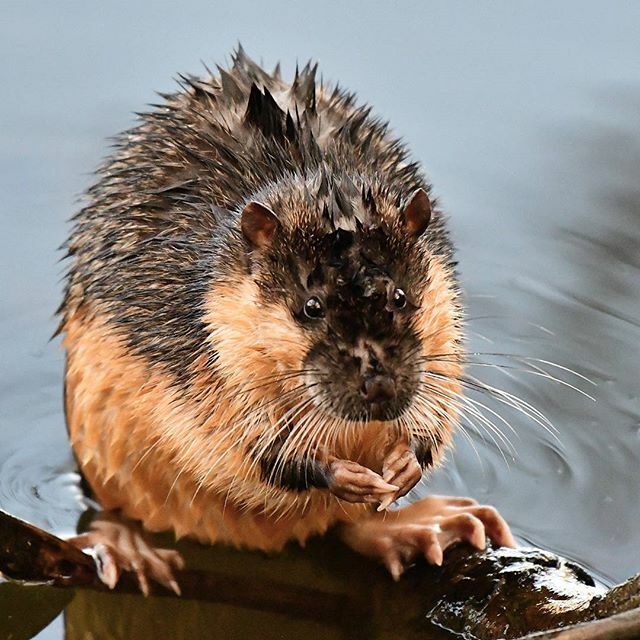 Australian water rats are completely aquatic rats that are more like small otters than anything ratty. They have very little in common with the rats that are found in the chook shed or behind the pantry – in fact, many people prefer to call water rats by the name Rakali. Rakali are attractive native mammals that are excellent indicators of ecosystem health. They are an apex predator of our waterways, feasting on fish, yabbies and sometimes even ducks! Rakali have webbed feet and come in many colours, this one in a very fetching apricot and chestnut brown. 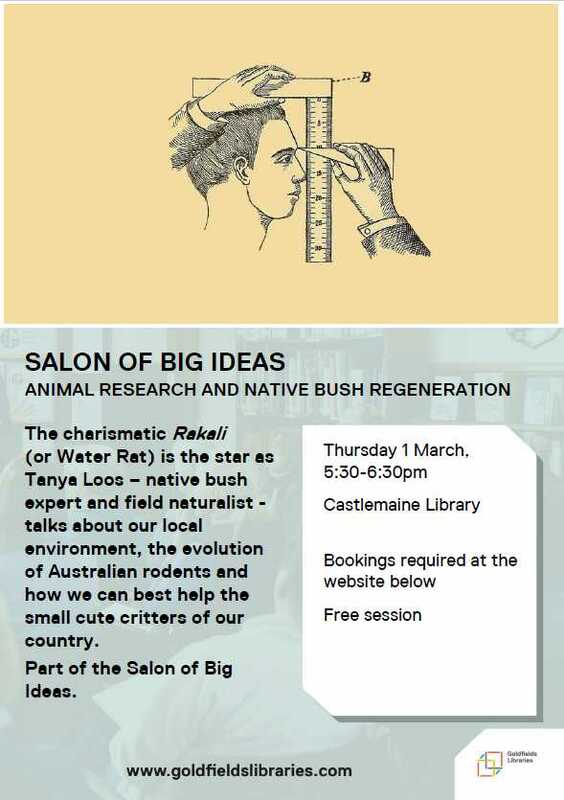 Goldfields Library Corporation contacted us at Connecting Country seeking a speaker for their Big Ideas series. As Tanya had recently researched the ecology, evolution and conservation of these lovely animals, she jumped at the chance. Please come along to find out more about Rakali, and how you can help them thrive in the dams and waterways of the Castlemaine region. Based on anecdotal reports, rakali will travel several hundred metres across dry land to dine on delicacies, such as pet food left out regularly on a back porch. Rakali thrive in both freshwater and seawater environments. They may be observed in environments as varied as beneath a busy pier in Geelong, or in a quiet freshwater stream in the mountains, or even in concrete lined lakes and ponds in public gardens. Sorry I can’t make it to this talk.